Working in a chemical laboratory can be a dangerous and expensive proposition. If any of the experiments are to go beyond expectation, it could lead to a dangerous explosion and also a variety of other problems. Keeping a report of these incidents for reference is absolutely essential. 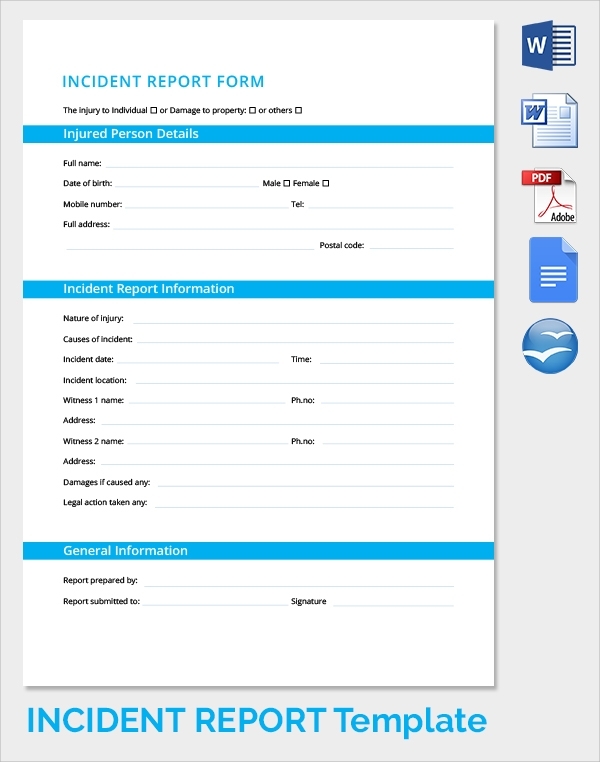 We have created a variety of free, ready to use and custom made incident Evaluation Report Templates for the job. These smartly and cleverly designed example templates are available in a variety of formats. 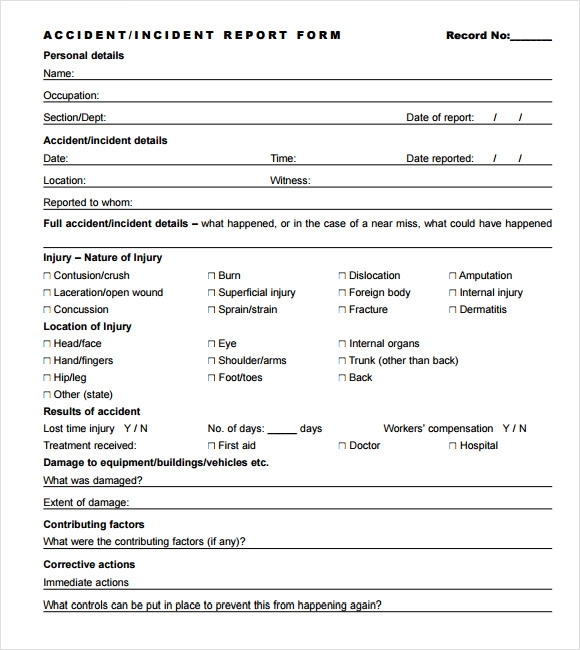 Just download the sample of your choice, fill it in, print it out and keep it filed for future reference and safety! 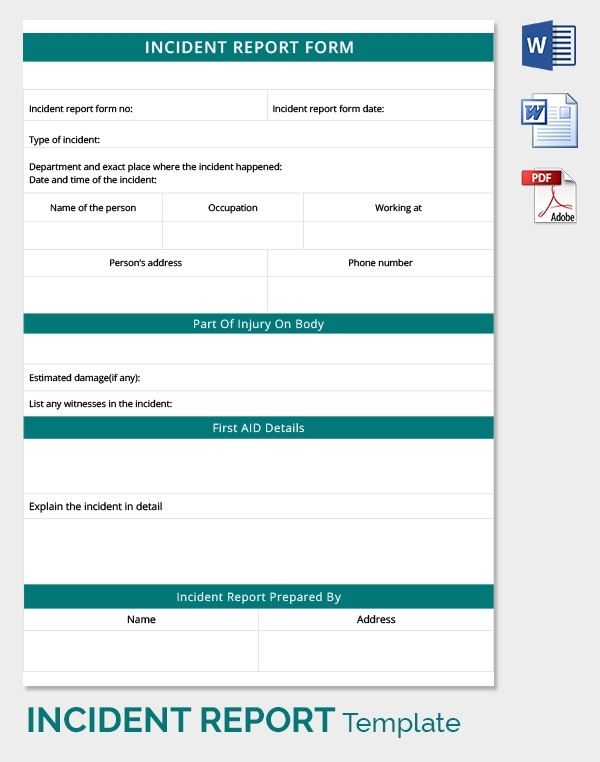 Incident reports can now be easily created by following this template. 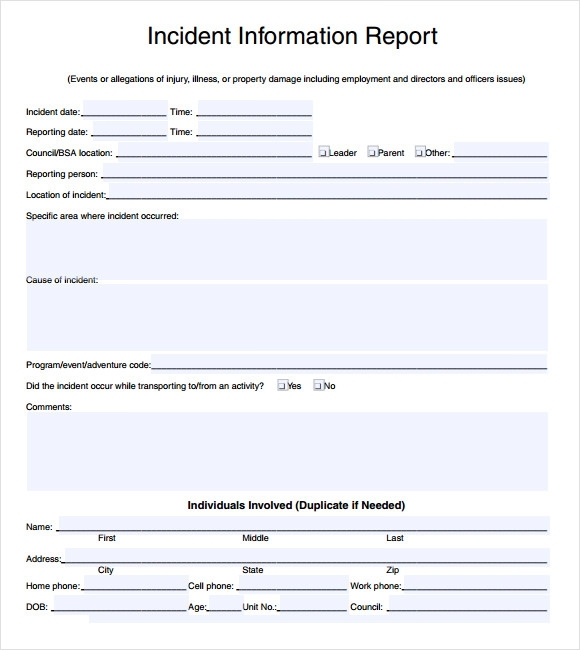 This template needs to be followed accurately for preparing the intricate information about different incidents. 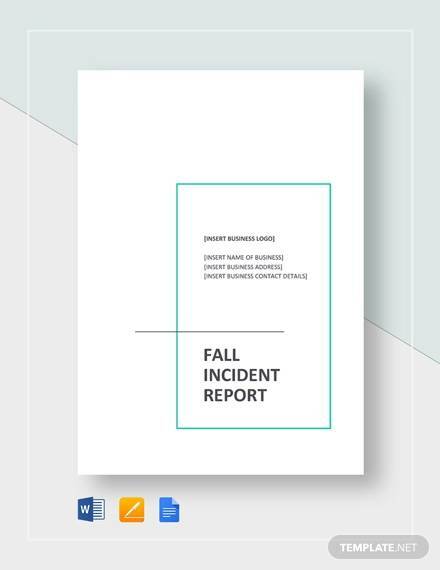 These reports are usually made in quite an impressive manner of representing the incidents. 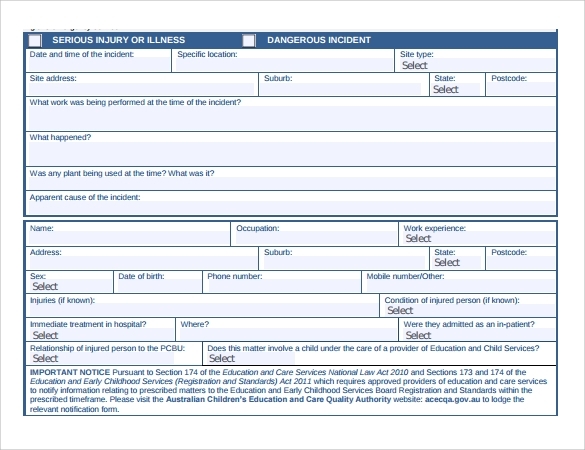 Daytime incidents are quite common these days and these templates can be used for representing these incidents well. 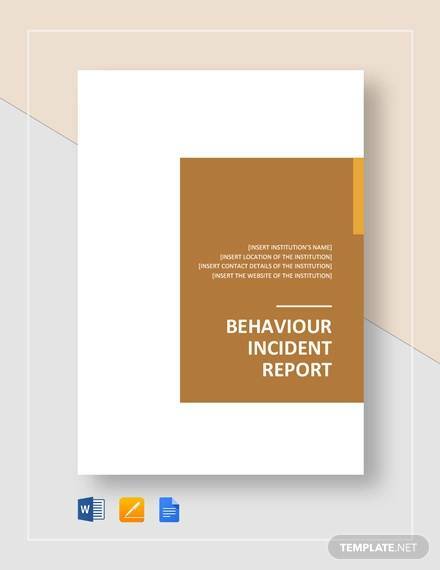 In fact, on the basis of these kinds of incident reports necessary precautions or protective measures can be easily and conveniently adopted. 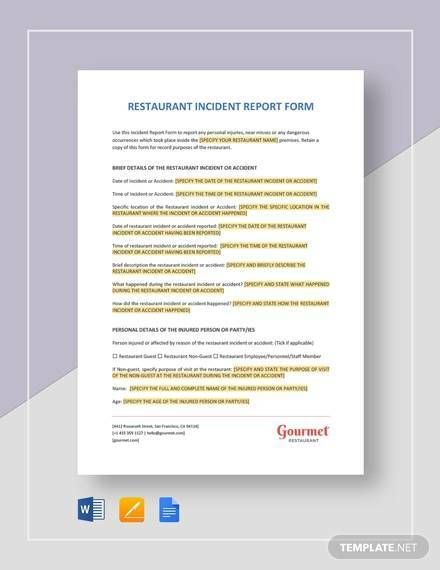 Employee incidents need to be considered seriously and this is the very reason that these official templates are getting the greatest exposure these days. 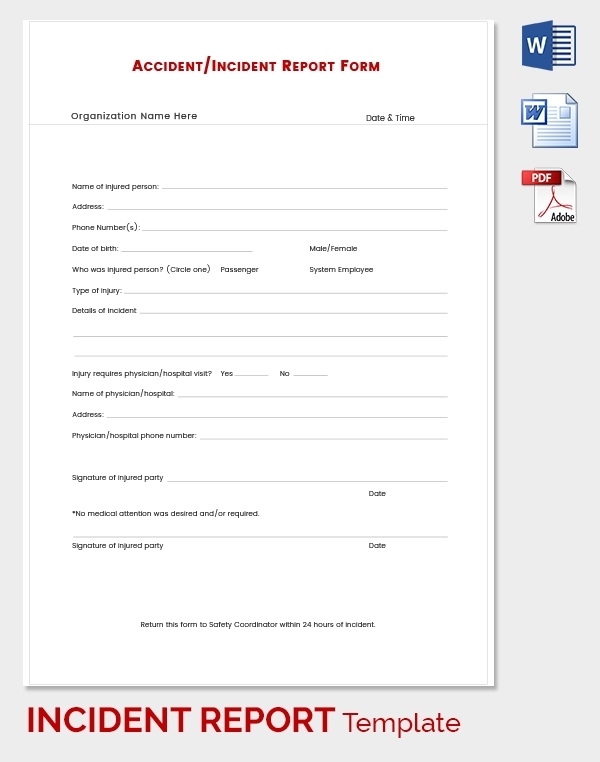 These templates usually remain circulated within different business concerns for satisfying varied corporate or commercial purposes. There are different kinds of dangerous equipment that can cause accidents and these accidents need to be recorded for tracking the same. 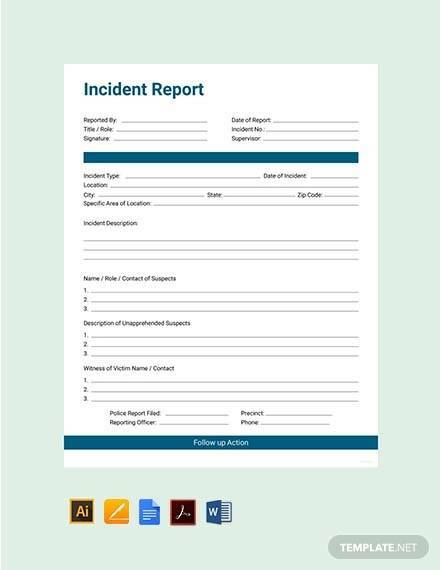 These templates can help you to make the perfect tracking of the incidents occurred due to equipment mishandling. 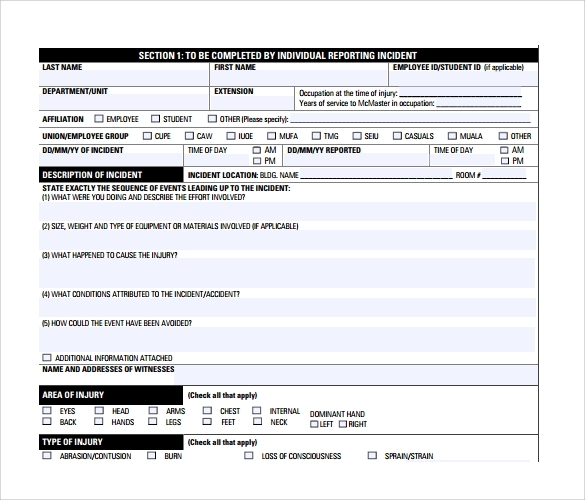 Why do you Need Incident Report Templates? 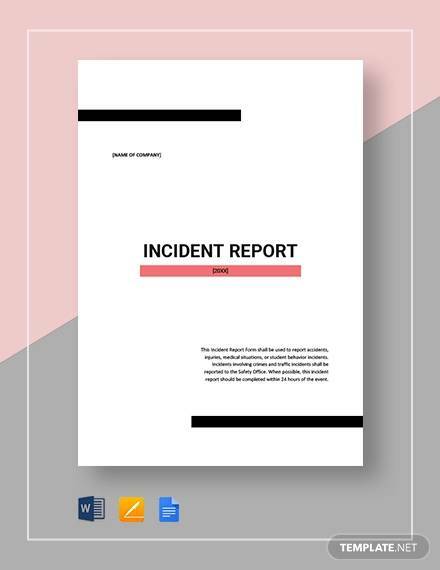 These templates are very much inspiring, especially for those professionals who create incident reports. These reports are usually created by either police department or by insurance companies. 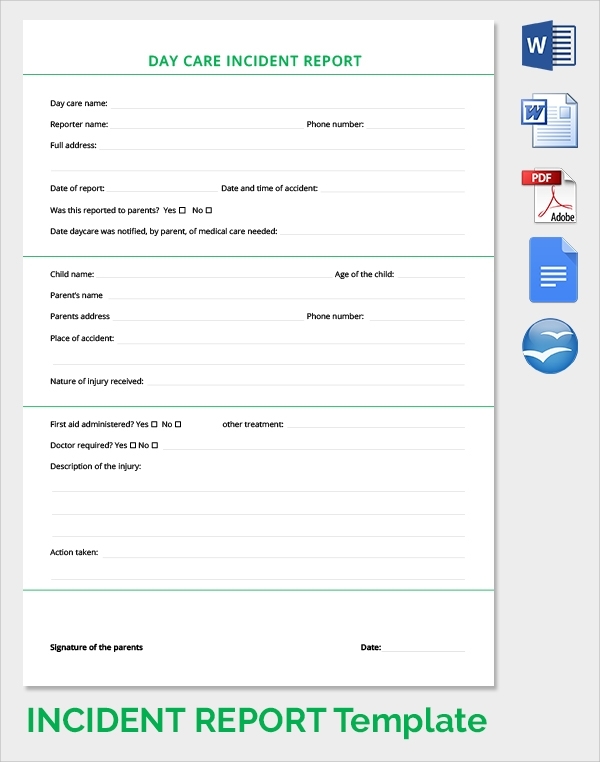 Sometimes, these reports are also created for dealing with specific medical purposes. 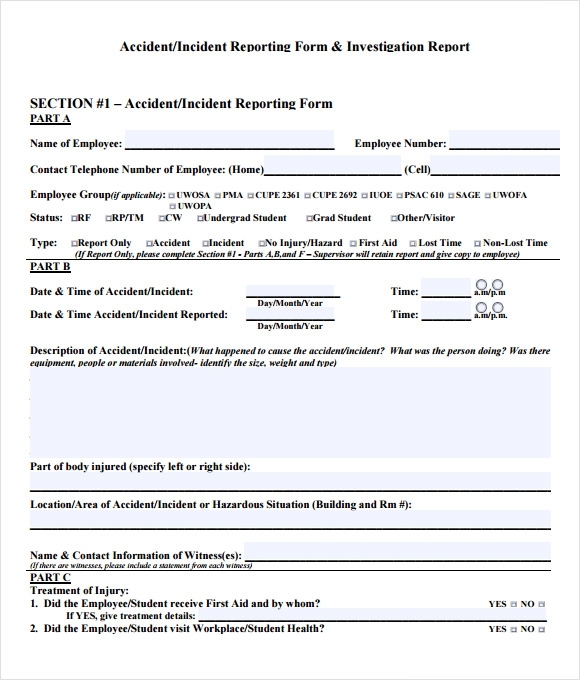 In this regard, these templates can be referred so that the report formatting can be easily maintained without any errors or mistakes. 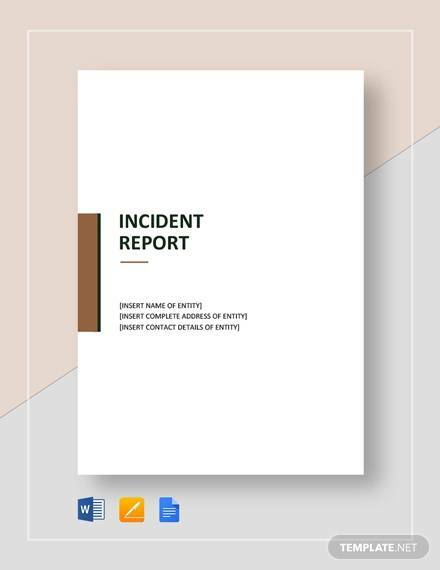 Have the best samples in your hand for getting a fair idea regarding how to create the incident reports of different kinds. 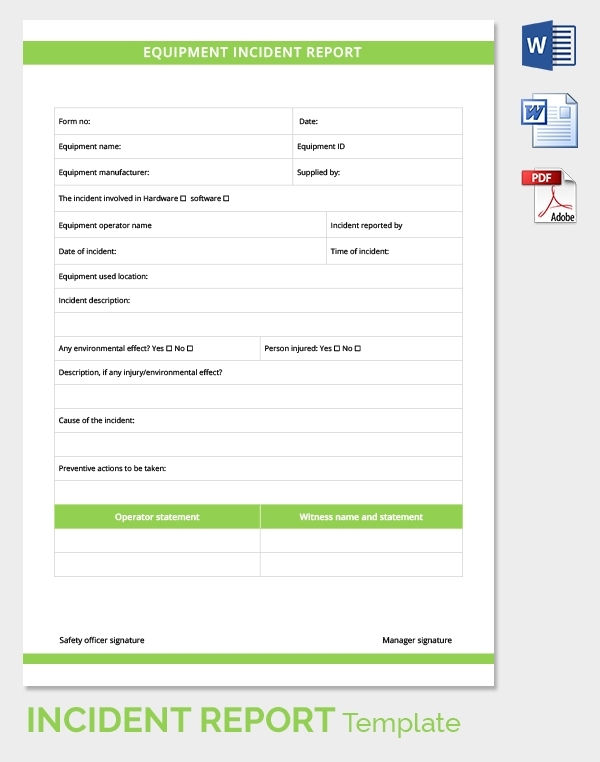 You can choose the templates or either word document or excel sheet as per your requirement and purpose.You can also see Professional Report Templates. 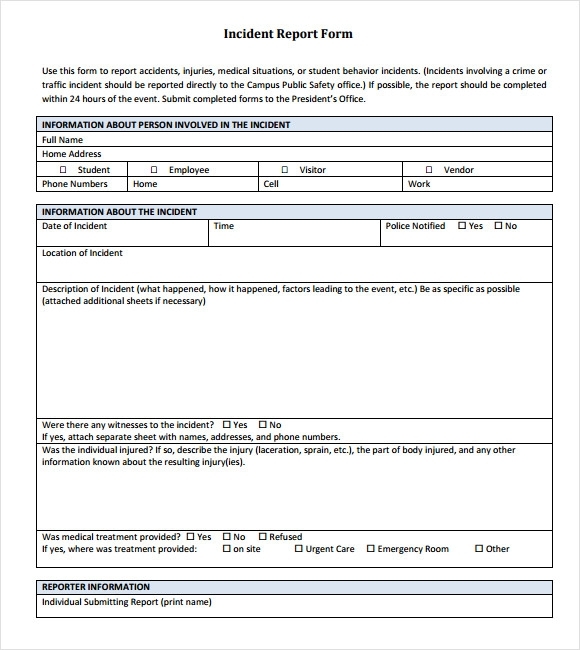 When do you Need Incident Report Templates? 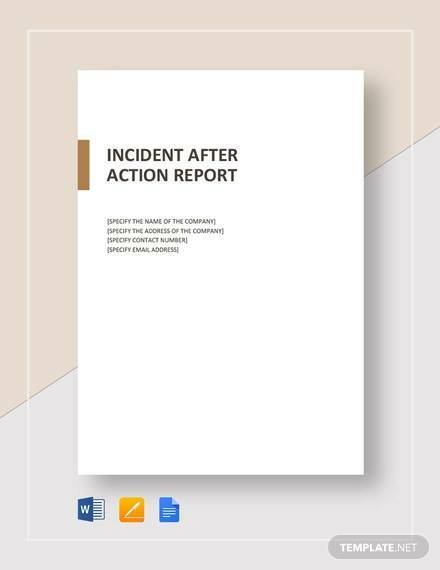 These templates re required for preparing the reports different accidental incidents. Different details are to be added for making the reports more accurate and perfect. Formatting is of greater importance in preparing these reports and this aspect can be essentially boosted up by following these templates sincerely. Purposes can be one of the most important features that need to be decided first and on the basis of the purpose the formatting can be well decided. In this case, these templates play the most important part which is highly appreciable. These templates help in maintaining different categories in a distinctive manner so that details can be put properly. 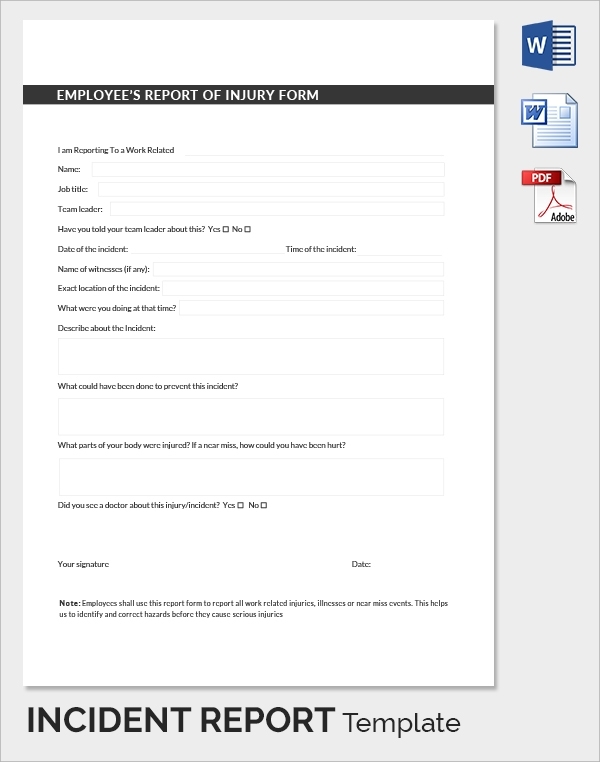 What are the Benefits of Incident Report Templates? These templates are usually maintained in excel format so that they can be easily and comfortably accessed. 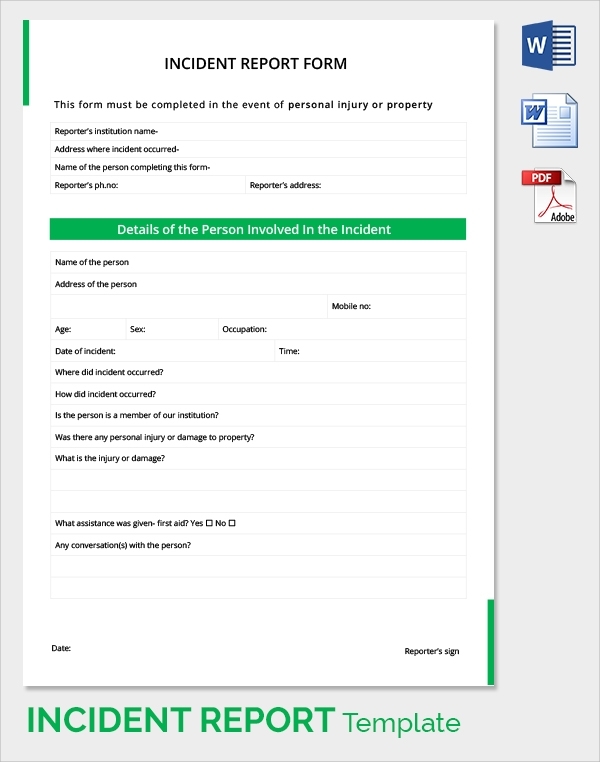 If you think that only incident details are included within these templates then you are wrong rather personal details are also to be added for making effective completion of the specific purposes. 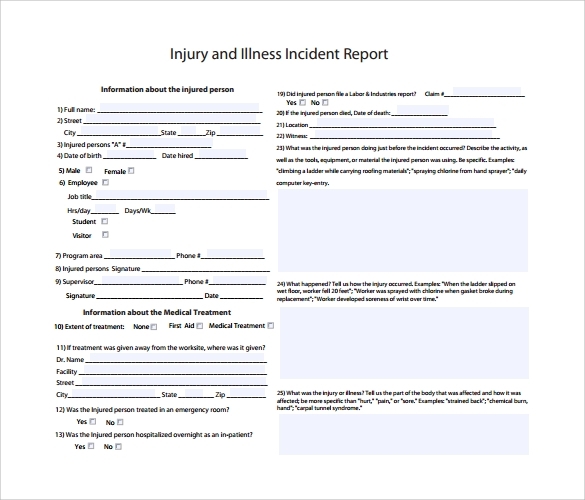 Different kinds of situations are being discussed, especially injuries, damages and other medical conditions. On the other hand, the circumstances under which the incidents have occurred are to be discussed in details. 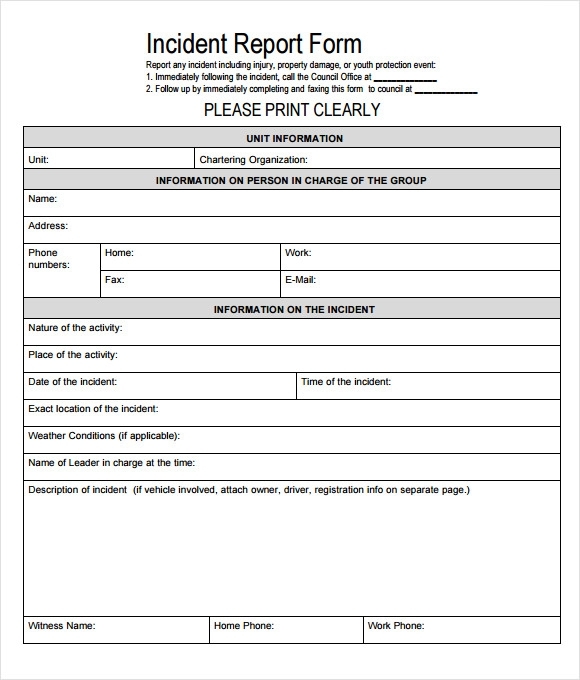 Workplace safeties can be highly ensured by means of maintaining these templates as dangerous incidents can be listed a proper way. 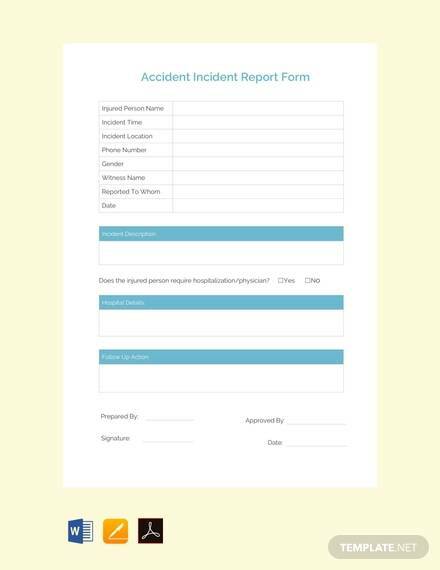 The templates of incident reports can be of varied types and thus the best type can be chosen in accordance of the accident type and nature.You can also see Sample Scientific Report Templates.